Now at the end of the month, that attention is being poured upon the Xperia Z3v, Z2, and Z2 Tablet. The first is just Verizon's version of the Xperia Z3. The latter two are Sony's flagship phone and tablet from earlier this year. 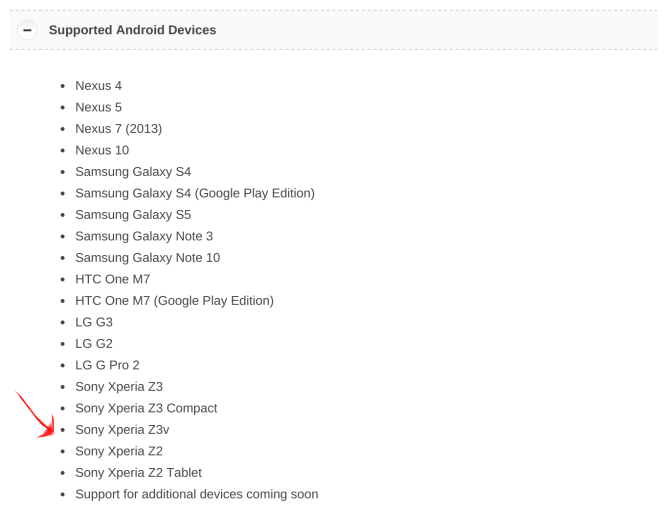 Update: Z3 Tablet Compact now listed too. Chromecast's screen casting feature is different from general Chromecast support. You can cast content to Google's little dongle with whatever device you have lying around, as long as it's connected to the same network and running a supported app or extension. But to mirror everything that's shown on your screen Miracast-style without rooting your device, you need to have one of the gadgets on this list.